To you, LORD, I called; to the Lord I cried for mercy "What is gained if I am silenced,if I go down to the pit? Will the dust praise you? Will it proclaim your faithfulness? Hear, LORD, and be merciful to me; LORD, be my help." Myanmar’s military ransacked a Baptist Church and disrupted a Christian conference of the predominantly Christian Chin community in the latest confrontation between government forces and ethnic minorities. The Church pastor Jangmaw Gam Maw said that on 10th March soldiers "from the 33rd battalion of the Myanmar’s Army’s 88th Infantry Division burned bibles, destroyed church property and stole other church equipment.” 3 days earlier the military disrupted a conference of 1,000 delegates from 80 local branches of the Mara (Chin) Evangelical Church. Reports state that several soldiers raided the meeting and "rebuked the village headman for not reporting the event" to the army camp. March 15, Sheikh Abdul Aziz bin Abdullah, the Grand Mufti of Saudi Arabia, has declared that it is "necessary to destroy all the churches of the region." It is reported that the Grand Mufti made this statement in response to a question posed on what Shariah law says about building churches, during a meeting with a delegation of a Kuwait-based NGO. Abdullah's ruling sanctioned the previous statement made by a Kuwaiti parliamentarian who called for the removal of all churches, although the Kuwaiti later said he merely meant that no new churches should be built in his Emirate. However, the Grand Mufti explained to the Kuwaiti delegation that since Kuwait was a part of the Arabian Peninsula, “it is necessary to destroy all churches in it." Abdullah based his decision on the hadith declared by Mohammed on his deathbed: "There are not to be two religions in the Arabian Peninsula," which has always been understood to mean that only Islam will be practiced on the Peninsula. 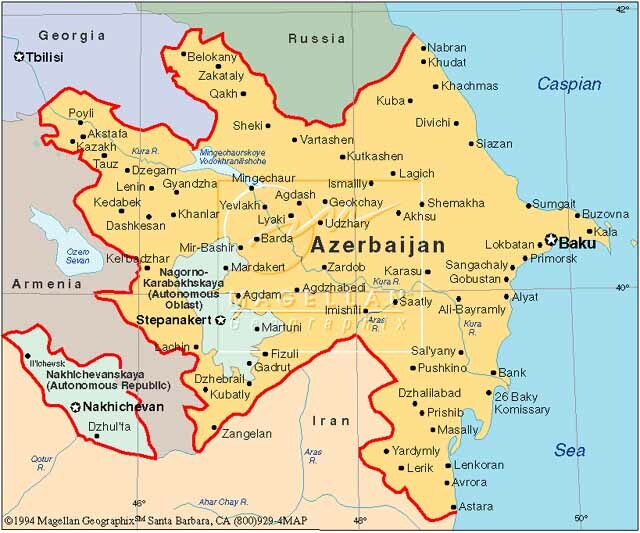 March 13, It is reported that the Azerbaijan's State Committee for Work with Religious Organizations is presently working to close down the Greater Grace Church in the Capital Baku for failing to regain compulsory re-registration. This is the first attempt made by government authorities to compulsorily close down a church since the imposition of harsh Religion Laws in 2009. The unregistered exercise of freedom of religion or belief is illegal under Religion Law in Azerbaijan which is entirely contradictory to international human rights standards. A Christian leader from Azerbaijan has commented on the case stating "The move to liquidate the Church through the courts is against the Law and the Constitution, and discredits Azerbaijan internationally and punishes people who want to live an honest life. The State Committee - which has a duty to help religious believers - is instead engaging in repression of them." March 22, It is reported that a church leader was assaulted by suspected government hired thugs in Kon Hring, Vietnam. The incident occurred while Luy Gonzaga Nguyen Quang Hoa (46), was travelling back home on his motorbike after conducting a funeral service in a nearby village. Attackers who were on motorcycles pursued Luy Gonzaga and assaulted him till he lost consciousness. “On the way back to my Parish, 3 strangers on motorbikes came after me and beat me around the head, back, stomach and arms with 2 iron bars”, the church leader said. Reports state that the attackers were criminals recently released from prison who have connections with government authorities. Such groups are hired to attack church leaders and Christians in the Kon Tum Province in the central highlands, which the government has declared a "no religion zone”. Help us to keep doing this.